At this hour I’m in Santa Fe, New Mexico, where Paul Moravec and I are joining with Richard Gaddes, the general director of the Santa Fe Opera, and Charles MacKay, who will be succeeding Gaddes in October, to announce the details of the company’s 2009 premiere of The Letter at a press conference. This is the press release describing the opera and its cast and production team. The Letter is based on W. Somerset Maugham’s 1927 stage adaptation of one of his best-known short stories. It has been filmed twice, the second time in 1940 in an Oscar-nominated version starring Bette Davis and directed by William Wyler. Paul Moravec, the composer, won the 2004 Pulitzer Prize for Music for Tempest Fantasy and is currently Artist-in-Residence at the Institute for Advanced Study in Princeton and University Professor at Adelphi University. 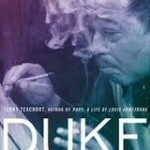 Terry Teachout, the librettist, is the drama critic of The Wall Street Journal and the author of a forthcoming biography of Louis Armstrong. The opera is ninety minutes long. Patricia Racette and Anthony Michaels-Moore star as Leslie and Robert Crosbie, an unhappily married expatriate couple whose life in the jungle of Malaya is torn apart by passion, violence, and revenge. 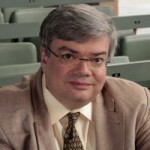 Racette appeared most recently in the 2005 Turandot. Michaels-Moore will be singing the title role in this year’s Falstaff. Other members of the cast include Roger Honeywell, last seen in the 2007 production of Tea: A Mirror of Soul, and James Maddalena, Ning Liang, and Rodell Rosel, all making their company debuts. Patrick Summers, music director of the Houston Grand Opera, also in his company debut, will conduct. The production will be directed by Jonathan Kent, who staged the critically acclaimed Broadway revival of Brian Friel’s Faith Healer in 2006. 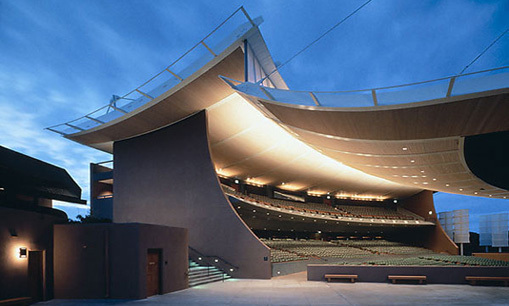 Kent has directed three operas in Santa Fe, most recently Thomas Adès’ The Tempest in 2006. He is staging the 2008 Marriage of Figaro. Hildegard Bechtler, the set designer, created the set for Primo, Anthony Sher’s stage version of Primo Levi’s If This Is a Man, which played on Broadway in 2005. Tom Ford, the award-winning New York fashion designer, will design the costumes. One of the nation’s best-known fashion figures, his oeuvre includes men’s clothing, perfume and accessories. A longtime Santa Fean, Ford graduated from Santa Fe Prep and keeps a home here. Opera buffs will need no further introduction to the stars of The Letter, but for those of you who don’t follow the business that closely, suffice it to say that Patricia Racette and Anthony Michaels-Moore starred in the Metropolitan Opera’s new production of Benjamin Britten’s Peter Grimes, which opened earlier this year, while James Maddalena is best known for having created the role of Richard Nixon in John Adams’ Nixon in China. As for Jonathan Kent, Hildegard Bechtler, Tom Ford, and Patrick Summers, I think the press release speaks quite well for itself. I’ll fill you in after I get back to New York tonight, but for the moment I doubt I need to say much more than that Paul and I are honored–actually, “staggered” might be a better word–to have our very first opera produced and performed by such an illustrious group of collaborators. (I’ve written about Pat, Jonathan, and Hildegard in my capacity as a critic, so my admiration for their work is a matter of record.) It isn’t often that you get to start at the top, but that’s what’s happened to us, and we don’t need to be told what that means. Now, if you’ll excuse me, I have to catch a plane. Broadway is calling! • Maud points the way to a Theodora Keogh story, published in 1957, called “The Man Who Loved Old Ladies .” It’s a short-short story, easily readable online, and it’s interesting to place it in tandem with another short-short story, Katherine Mansfield’s “The Young Girl“, especially in the way both stories close. Keogh is a new author to me — I hadn’t heard of her before reading an obituary that ran in the Telegraph this January — but Maud, who along with others is agitating that Keogh’s books be brought back into print, can tell you more. Mansfield’s story, by the by, is included in the Angela Carter-edited anthology Wayward Girls and Wicked Women, put out by Virago in the ’80s. The collection’s out of print but you can still pick up a used copy dirt cheap. • Lately, I’ve been re-reading David Copperfield as my before-bed, literary-cup-of-Ovaltine book. Last night I hit the chapter called “My First Dissipation.” It’s such a funny set piece and can be read as a stand-alone excerpt if you start here, where David first decides to have a few friends over to his new apartment for dinner (Mrs. Crupp is his landlady). Personal aside: Whenever my book club meets, there’s inevitably some point in the evening where we all start making plans to go on a trip to Cuba together, or Budapest, or else, you know, start a bowling team. So the “made several engagements to go to Oxford” bit hits home. Consider yourselves warned: this is not a post about the arts, but one of those occasional yet inevitable posts about the life of the blogger that are delightful to some and obnoxious to others. Proceed or click away accordingly. My absence from this space recently, excepting the occasional fortune cookie, can be explained in two short words: work and hockey. Behind these words lie a very boring story and a semi-interesting one. The first goes like this: work is busy. I know you know all about it. The second? I think it’s pretty cool, actually. I haven’t trotted out this particular obsession for a matter of years, maybe, but longtime readers will remember that alongside the interests that brought me here, interests in books, movies, criticism, and to a more limited extent the performing arts, stands a less elevated but equally passionate love for ice hockey–for the professional variety, from a strictly spectatorial perspective. Until recently. The more hockey I watched over the years, the more a question or possibility gnawed at me: what does it feel like–to fly across the ice like that, to deliver a pass or receive one, to shoot and, in my very wildest dreams, score? 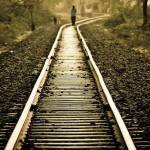 Until a couple of years ago, the question seemed purely theoretical and made me increasingly melancholy. I was on the far side of 35 and I didn’t know how to ice-skate, let alone do things with pucks. Even if I learned some of this, somehow acquiring skates and the bulky, mysterious-to-me carapace of a hockey player, and finding ice to play on and other people to play with who would not laugh me off said ice–even if I overcame all of these obstacles, I would certainly never be capable of performing any of the highly-skilled on-ice feats that most piqued this niggling desire to capture a feeling. There was perhaps a remote possibility that I could pursue this, but no question that anything transcendently gorgeous would always be beyond my grasp. So why bother? It would have to be more frustrating than gratifying, right? Something had to happen to change my mind. And, as with many consequential and fortunate turning points in my life, the difference was made by my dad. At the age of 64, just after Christmas, he went out and bought new skates, suited up, and took to the ice for the first time in about four decades. True, he had years of real, competitive experience as a teenager and young man. But he also was almost thirty years older than me. Part of me was envious, part inspired. By March I had new skates too and was enrolled in beginning figure-skating lessons in a fairly distant suburb. I made the 45-minute drive every Monday evening, right after work, spent half an hour on the ice, and turned around to head back. Behind-wheel to on-ice ratio: 3 to 1, but worth it. I learned some basic skating that would help later, and some kid-level figure-skating stuff that wouldn’t. I earned a turquoise ribbon with a penguin on it certifying my mastery of 1/2 level of skating expertise. This was all extremely exciting, but it didn’t feel like it was getting me much closer to playing hockey. I kept skating wistfully, trying to work diligently on my stride and my backwards with dim hope of someday, somehow, getting a stick and a game. And this winter, wouldn’t you know, the stars aligned and I found myself becoming friends with someone whose friend was about to begin teaching a beginner’s hockey class. By now I’ve had maybe ten lessons. I am entirely incompetent and thoroughly addicted. • Many things in ice-skating are easier with a stick in your hands and an urgent purpose. • Stopping is not one of those things. Did you ever see a lot of beginning skaters play a hockey scrimmage? Everyone goes into big loops or dire spin-o-ramas to get to the puck facing in the right direction. I can’t imagine it’s not very funny to observe. “Frantic darting of the weightless bugs” indeed. • No matter how wretchedly you play, the hunger to get the puck is all-consuming. In my case, the need to get rid of it once I have it is equally urgent. One-half of this attitude needs changing. • Playing hockey means developing a deeper relationship with velcro. • A one-minute shift in scrimmage is almost enough to kill me. • Last week, Slate reported that The Mount, Edith Wharton’s home in Lenox, would face foreclosure unless the historic site managed to raise $3 million by April 24. According to The Mount’s website, that deadline’s now been extended to May 31. So far $816,753 has been raised. From the vaults of Web .2, an early story of Sittenfeld’s, one I’m still fond of, about New Year’s at the office. I sent Rhythm Man: A Life of Louis Armstrong off to Harcourt, my publisher, last Friday, and I also sent it to two people who knew Armstrong and offered to read the manuscript. So begins the long and complicated process that will lead to the book’s publication a year or so from now. In a perfect world I’d celebrate by going on a vacation, but I haven’t had much luck with that in the past–I took a week off to visit my mother when I finished my Mencken biography, only to be stranded in Smalltown, U.S.A., by 9/11–and in any case a New York drama critic doesn’t get to take any time off at this time of year. I saw Cry-Baby the night I finished writing Rhythm Man, The Country Girl two days later, and two more shows, Thurgood and Les Liaisons Dangereuses, the day after that. Yesterday I wrote a 2,500-word essay about Gustav Mahler for Commentary, and today I have to write Friday’s Wall Street Journal drama column. Tomorrow I fly to Santa Fe by way of Dallas and Albuquerque, about which more later, and on Thursday night I’ll be in Brooklyn, watching Endgame at BAM Harvey, with three more shows to come on Friday, Saturday, and Sunday. Contrary to popular belief, my life isn’t always this hectic, but as I pointed out last week, I didn’t plan to be finishing Rhythm Man and The Letter at the same moment, much less to have that moment occur simultaneously with the peak of the Broadway season. In the ever-relevant words of James Burnham, if there’s no alternative, there’s no problem, and since there’s definitely no alternative, I’m at least trying to behave as if there’s no problem. One of the ways in which I cling to normality in the midst of frenzy is to read something each day that is irrelevant to my proximate concerns. 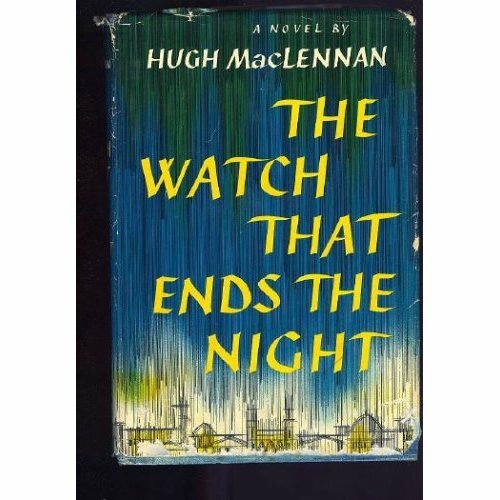 For the past week I’ve been periodically immersed in a book I’ve long wanted to read, Hugh MacLennan’s The Watch That Ends the Night. MacLennan, a Canadian novelist and essayist who died in 1990, is all but unknown in this country. (You can read about him here.) So, of course, are most Canadian artists who stubbornly insist on living in their native land instead of moving south, which says more about America than it does about Canada. Edmund Wilson praised his writing in O Canada: An American’s Notes on Canadian Culture, perhaps the least well known of his books, in which he compared MacLennan to Balzac and said that The Watch That Ends the Night was “invested with a kind of poetry that, to a reader living in the United States, makes Canada seem almost exotic.” But even though I read O Canada many years ago, I didn’t remember what Wilson had to say about MacLennan–I had to look it up on my New Yorker CD-ROM set–and the only reason why I knew about The Watch That Ends the Night, which was published in 1959, is that I once ran across a mention of it in a biography of Glenn Gould. At any rate I finally got around to reading The Watch That Ends the Night last week, and I was knocked flat by it, so much so that I had to ration the number of pages I allowed myself each day so that I wouldn’t be distracted from my deadlines. I intend at some point in the next couple of weeks to discuss it in the weekly book column that I write for Commentary‘s Web site, so I won’t jump the gun here. Suffice it for the moment to say that I feel inclined to rank it alongside Peter de Vries’ The Blood of the Lamb, an equally ill-remembered novel of similar vintage and subject matter (both books have at their center a woman who is suffering from a fatal illness and are narrated by a man who loves her). We live this life by a kind of conspiracy of grace: the common assumption, or pretense, that human existence is “good” or “matters” or has “meaning,” a glaze of charm or humor by which we conceal from one another and perhaps even ourselves the suspicion that it does not, and our conviction in times of trouble that it is overpriced–something to be endured rather than enjoyed. That quote caught the eye of my friend Maud Newton, who subsequently read The Blood of the Lamb and later cited the University of Chicago’s paperback reprint as her favorite novel of 2005. I don’t know whether The Watch That Ends the Night would hit Maud as hard as did The Blood of the Lamb, but I do know that it hit me as hard as any novel I’ve read in the past decade. I plan to devote all of this week’s almanac entries to it. The Watch That Ends the Night is out of print, but a new edition is about to be published in Canada, and in the meantime used copies are easy to order. I commend it to your attention. The big deal arts-wise in Asheville this weekend is the inaugural WordFest, a poetry festival featuring a number of local and visiting poets at readings and talks around the city. It kicked off last night, and events continue through Sunday night. The website features live video so, if you can’t make it, you can tune in remotely. • Friday: Drinks with my friend Robert McGee, who has a new story in the just-launched Raleigh Quarterly. • Saturday night: Fatemeh Keshavarz and Galway Kinnell reading at Asheville WordFest. • Sunday: Harold and Kumar Escape From Guatanamo Bay!! * This has bad idea written all over it, but I can’t help it: I want to roll! I went to a match last weekend and it was, not to put too fine a point on it, awesome. Also, I seem to have come to the point in writing the book where even getting body-checked sounds more appealing than sitting in front of the computer any longer. 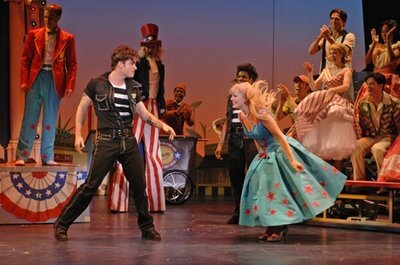 Two raves in today’s Wall Street Journal drama column, one on Broadway (Cry-Baby) and one out of town (Paper Mill Playhouse’s Kiss Me, Kate). Yay! Here’s an excerpt. You want funny? I’ll give you funny, or at least tell you where to find it: “Cry-Baby,” the new John Waters musical, is campy, cynical, totally insincere and fabulously well crafted. And funny. Madly, outrageously funny. It is, in fact, the funniest new musical since “Avenue Q,” give or take “The Drowsy Chaperone.” If laughter is the best medicine, then “Cry-Baby” is the whole damn drugstore. Like the 1990 film on which it is based, “Cry-Baby” is a teen-musical spoof in which the standard bad-boy-meets-nice-girl plot is put through the shredder and turned into a zany spoof of buttoned-down ’50s conformism…..
Cole Porter launched his career by writing old-fashioned musicals with tissue-thin plots and immortal songs, and lived just long enough to see the coming of shows whose books were dramatically sound–and to write one himself. “Kiss Me, Kate,” the musical version of “The Taming of the Shrew” that Porter wrote in 1948 in collaboration with Sam and Bella Spewack, is one of the three or four best Broadway musicals of the “Oklahoma!” era, a masterpiece of tunefulness and charm. It doesn’t get performed nearly often enough, though, so I urge you to head out to New Jersey to see Paper Mill Playhouse’s new revival, which couldn’t be more satisfying…. James Brennan, who directed Paper Mill’s superb 2004 production of “She Loves Me,” has done even better by “Kiss Me, Kate,” working closely with Patti Colombo, whose dance numbers are seamlessly interwoven with the dialogue scenes. Ms. Colombo is one of the most imaginative musical-comedy choreographers around–her staging of “Too Darn Hot” stopped the show–and I can’t see why Broadway hasn’t snapped her up.